Professional Home Stager and Interior Designer. 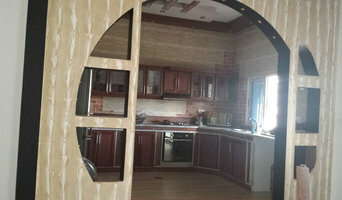 Covers a wide range of projects from single room changes to large multiple apartment showrooms. Able to help get a much higher asking price for property sales with faster sales. I offer speedy, professional services turning anything from cluttered homes to vacant houses into fabulous show case properties. Home styling and staging specialist; furniture rental, holiday homes, de-cluttering, bathrooms and tiling, design advice, storage, repairs. I offer home staging consultations and give advice on all the relevant issues in order to achieve a faster sale at the best price possible. This includes home staging and home styling services, declutter and moving home support. If you are selling your home or simply want to personalise it , i can make sure that you get the style and the colours wright every time. I trully believe that our interiors should reflect our personalities and really be what we call "Home" , a space to relax and feel spoiled, a place where we can envisage our dreams come true . Hello, my name is Victoria Rodgers and welcome to ‘VMRHomeStaging’, which provides friendly, professional home interior solutions, tailored to each client’s unique budget and requirements. ‘VMRHomeStaging’ offers a variety of bespoke home-staging and styling services to homeowners and landlords in residential, commercial and holiday lettings markets. I passionately believe that maximising the presentation and marketing potential of a property offers a more cost effective solution than reducing the market price or reducing the rent for your property. Hi I’m susie and I’m a Home Enhancement Specialist! I am a qualified interior designer and specialise In helping homeowners and developers to improve their properties to achieve the best possible sale price in the quickest amount of time. I organise projects from start to finish arranging any trades. I’ll then hire in beautiful furniture if needed and dress a property to show home standard. My prices are fair and the quality of my work and attention to detail are of the highest standard. 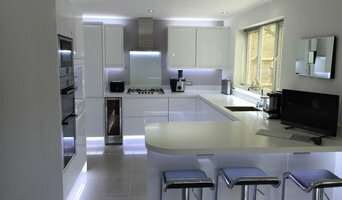 Small company specialising in home styling. We also offer a de-cluttering service and 'after-rent tidy-ups' for Landlords. We offer professional advice and guidance on how to maximise your home’s value, leading to quicker sales. 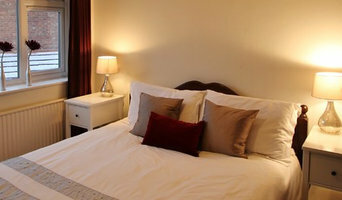 Eden Home Solutions provides a professional Home Staging Service to help you to sell your home. We advise on how to make your property shine in photos and on-line and how to style your home so that it appeals to a large target audience. We also offer professional Personal Organisation services to help you to organise your living space. Home based business, offering staging, styling services and consultation . As a Degree educated interiors specialist I draw on a wealth of learned and industry available knowledge to offer clients a turn-key solution to their interior design & home staging challenges. From small 'cluttered' semis to dated inherited bungalows and large empty new builds you can be sure of a professional finish to suit all budgets. My recent training includes an Interiors Digital Photography Course to produce stylised digital images for property marketing material & I work with a professional digital camera including flash & wide angle lens so you can be sure of high-quality shots to help secure those viewings. I am currently undertaking the C.H.S.S.P. - Certified Home Staging and Styling Professional Course in association with The Home Staging Network, which provides a professional level of achievement within the Home staging and property styling industry and will also shortly be marketing on House Wow. As part of my professional continual development I research the UK Interiors market and design resources weekly if not daily and so you can be sure that the finished result is not only in keeping with your property style but also the interior design demands and trends of modern day house buyers. 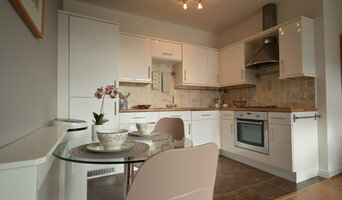 The Home Stylist or Stager works to prepare your New Mills, Derbyshire, UK home for the Derbyshire real estate market. Find a home stylist or stager on Houzz. 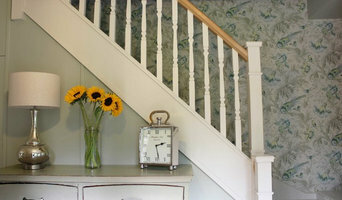 Narrow your search in the Professionals section of the website to New Mills, Derbyshire, UK home stylists. You can also look through New Mills, Derbyshire, UK photos by style to find a room you like, then contact the professional who styled it.